I would like more information about 8381 Southwest 124th Avenue, Unit 104. ***Sorry no pets. 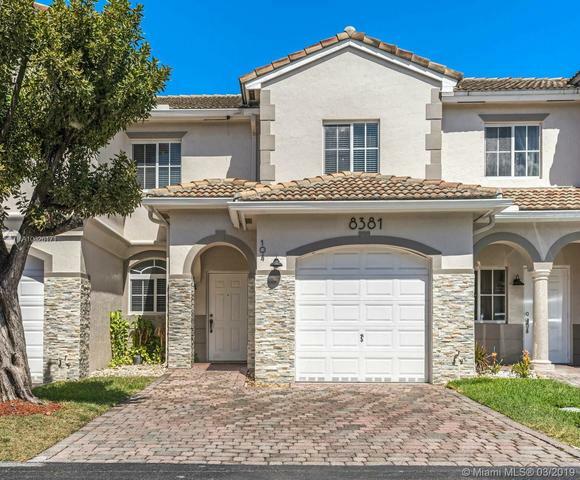 *** There's so much to LOVE about this spacious townhome - beautiful large kitchen with stainless steel appliances and granite countertops, all tile and laminate floors, superb location next to LA Fitness, Bahama Breeze, movie theatre, many stores and restaurants, and minutes away from Turnpike. Very easy to see. Directions: Kendall Drive until SW 124th Ave (Bahama Breeze mall entrance). Follow the road to the back of the mall and Kendall Village Homes is in the back left side of the mall. Park car outside entrance and walk thru. House is in the middle road.